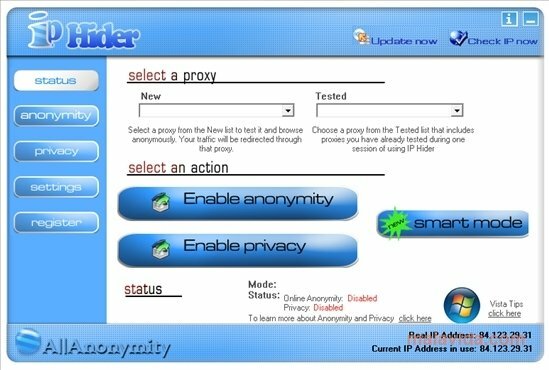 On more than one occasion you just might need to maintain your anonymity when it comes to browsing the Internet, thus needing to use an application that will allow you to change your computer's IP. 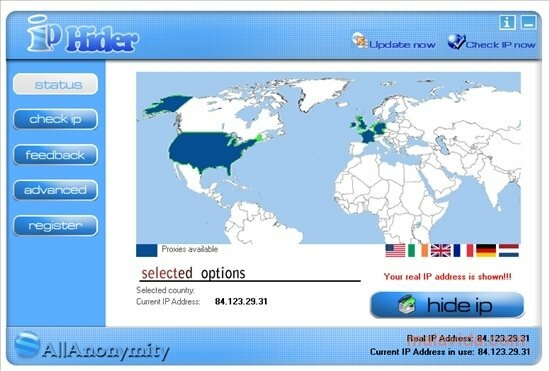 IP Hider is an application that will not only allow you to hide your IP by means of connecting to anonymous proxies, it will also allow you to be able to clean some of the traces that you leave behind on your computer when you visit certain websites. The program, unlike the vast majority of applications of the same genre, has a really simple interface, even though it also has an expert mode for those people that want to adjust each one of the application's parameters. 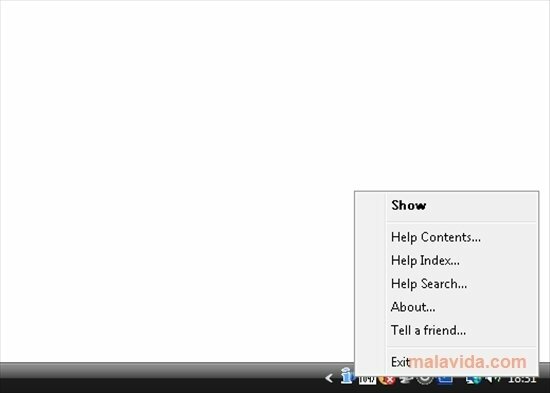 The function by means of which you'll be able to delete traces left on your computer is capable of eliminating cookies, URLs, temporary files, filled in forms, passwords and favorites in a matter of seconds. 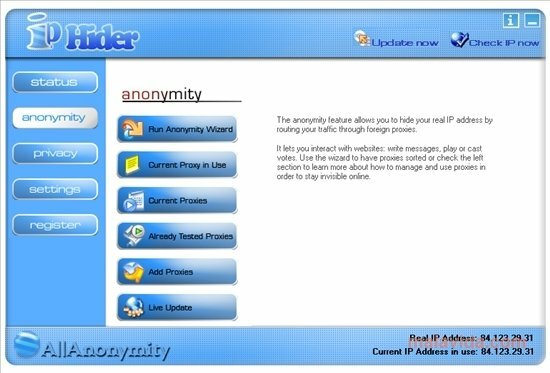 Download IP Hider and discover how to browse the Internet anonymously. The trial version can be used for 4 days.